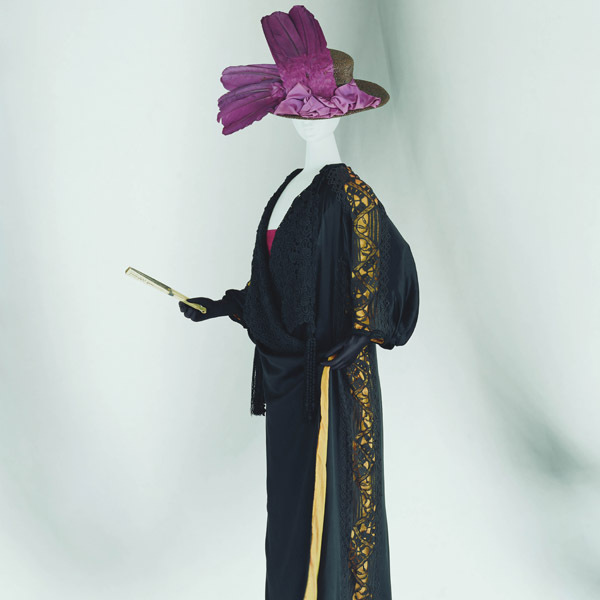 Dark red velvet; beige silk satin lining; kimono neckline; looped "kumihimo" (Japanese cord)-like decoration; tassel with beading. 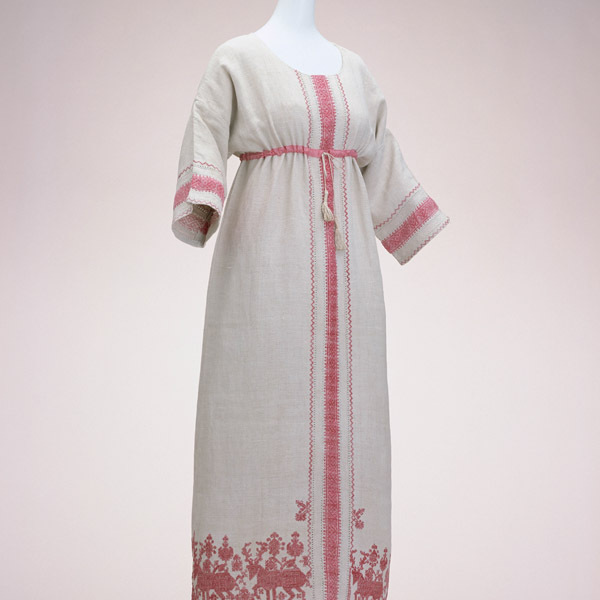 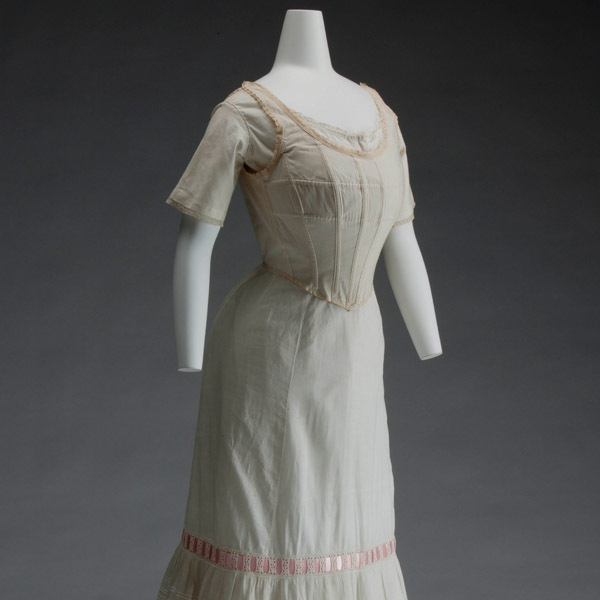 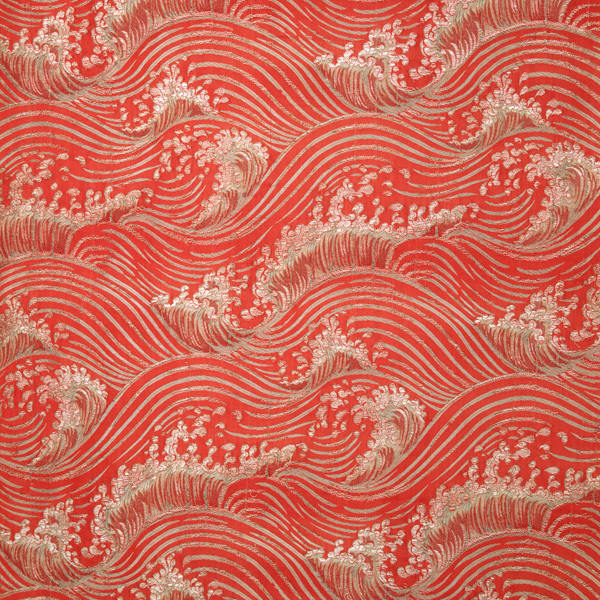 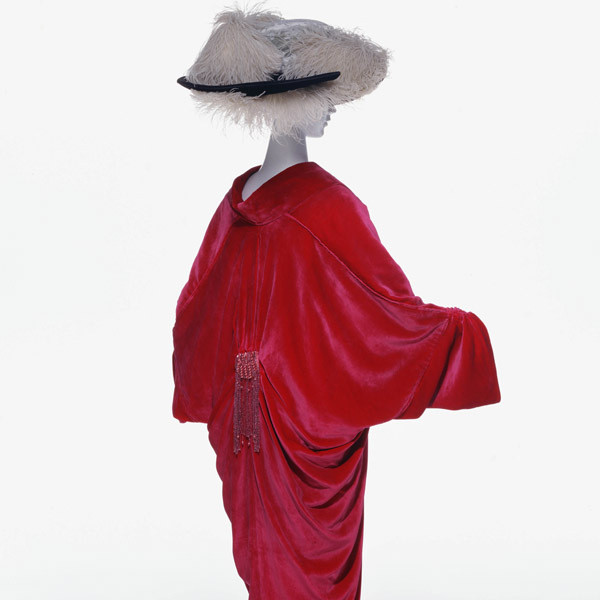 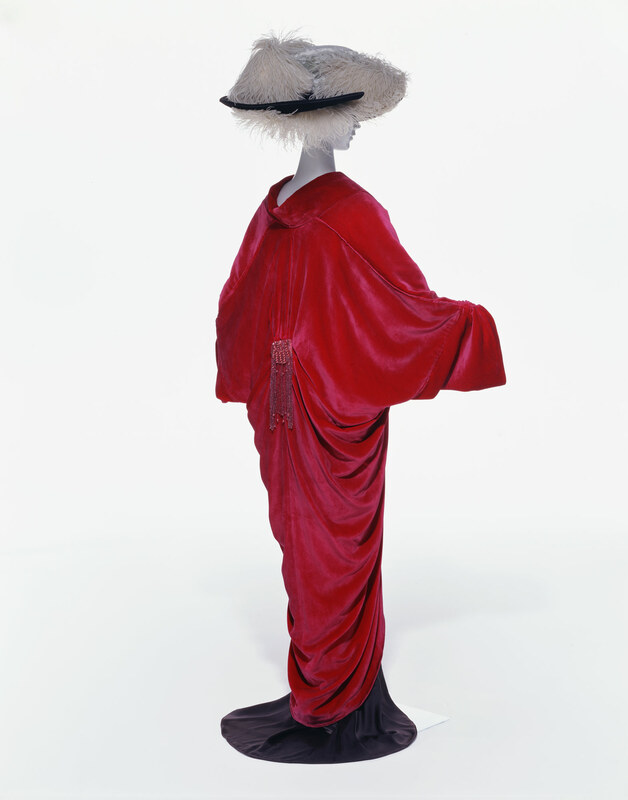 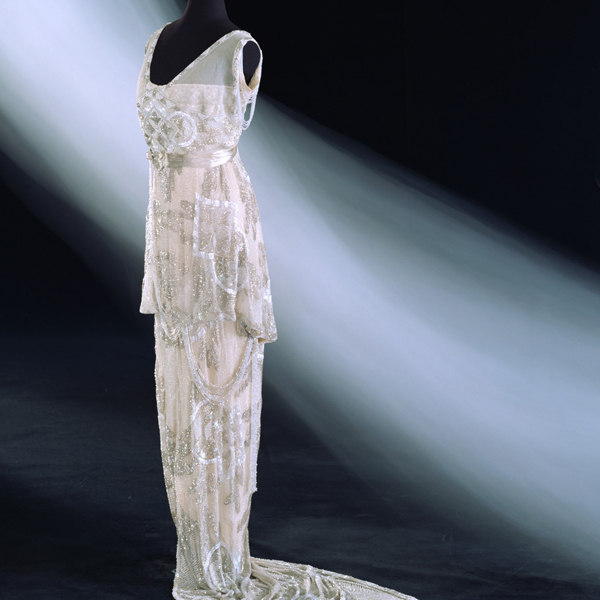 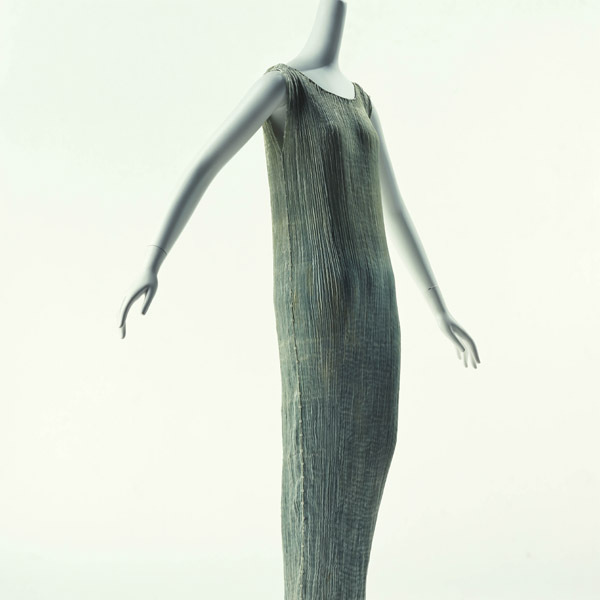 This is an interesting example in which a pulled-back collar, a kimono-style overlap, and loose drapes for the lower part of the back resembling the appearance of a kimono are effectively expressed by Western-style three-dimensional cutting. 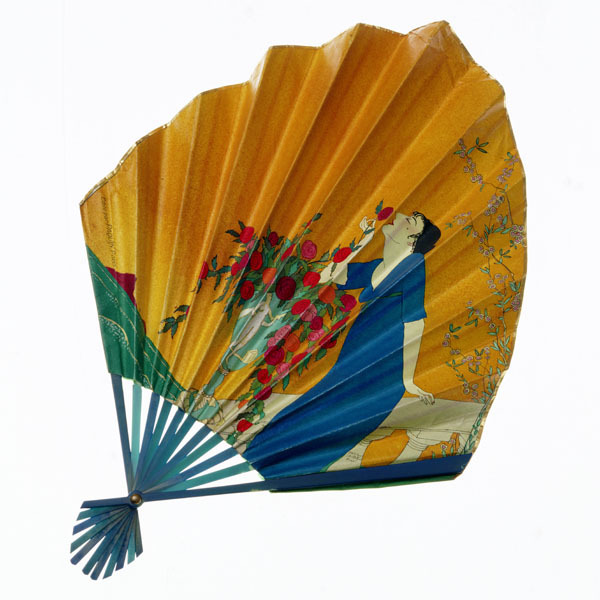 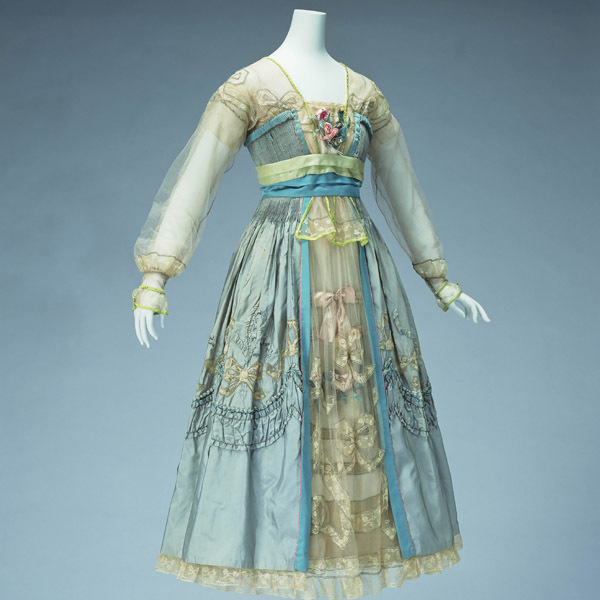 At the end of the 19th century Worth's was among the first fashion houses to pay attention to the new trend for Japonisme. 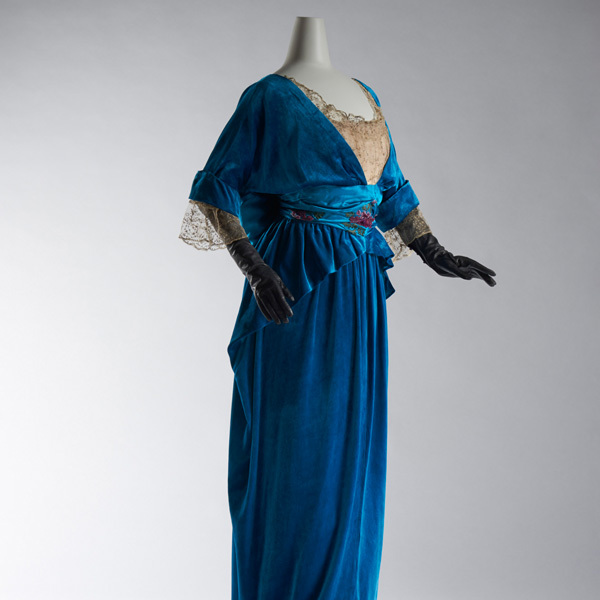 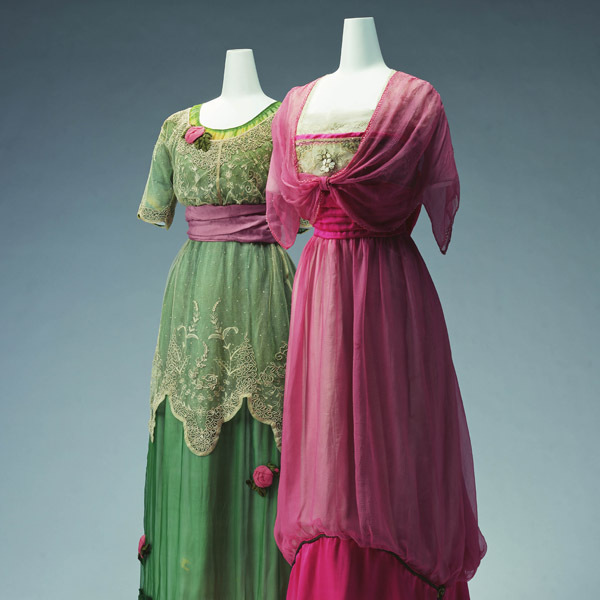 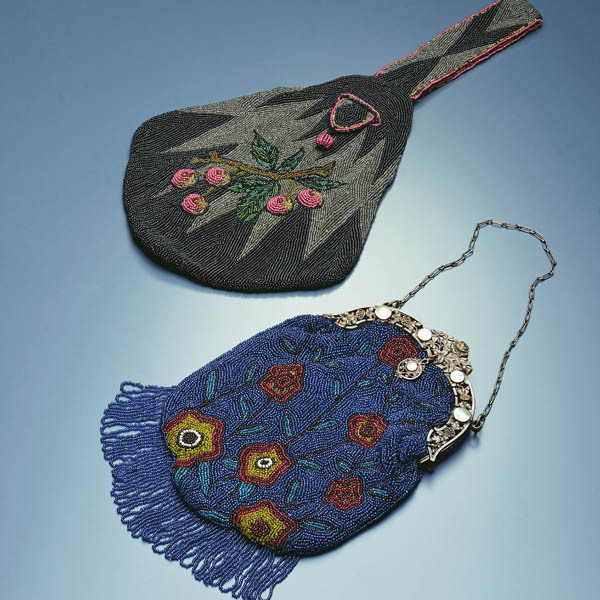 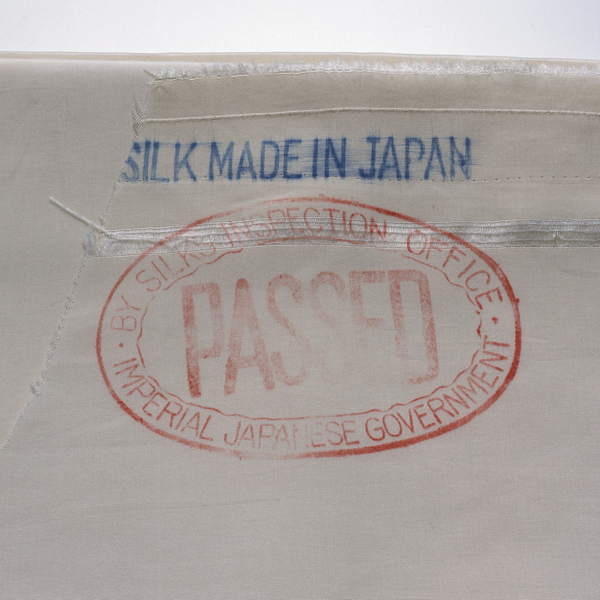 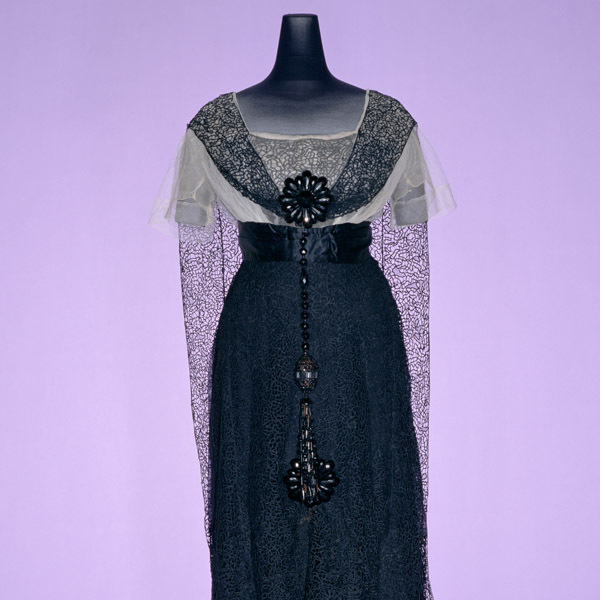 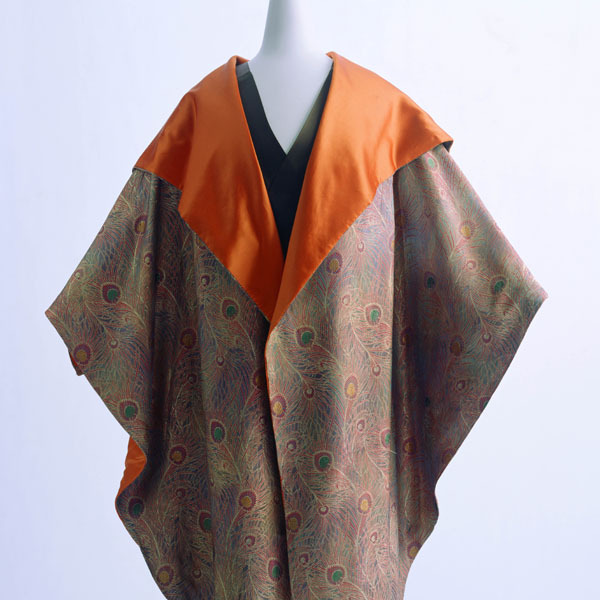 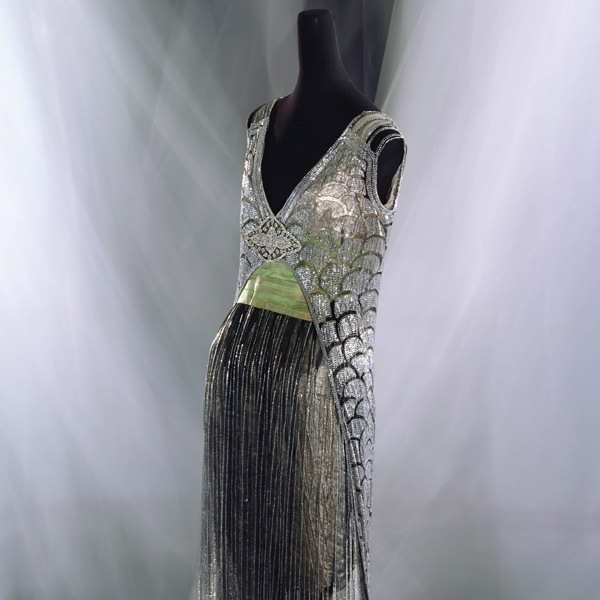 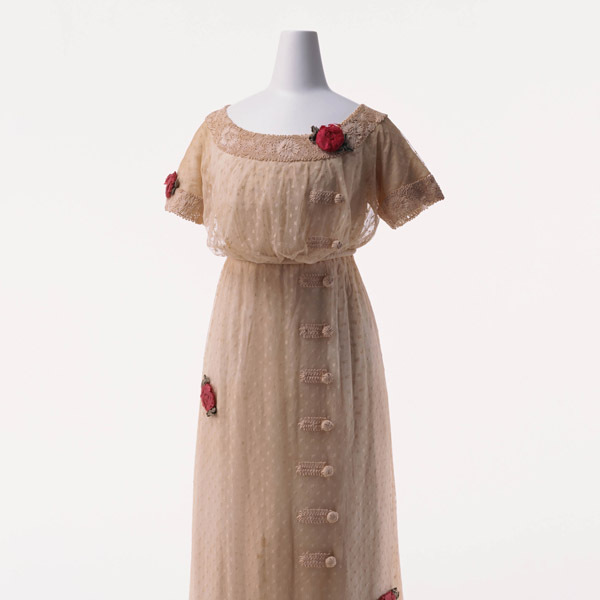 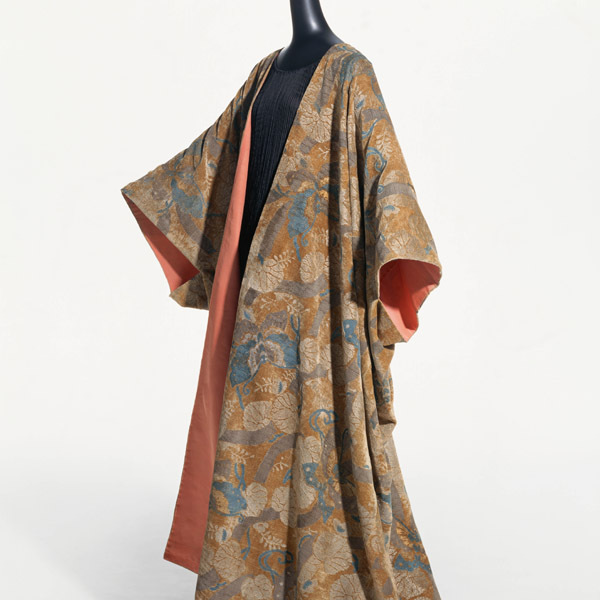 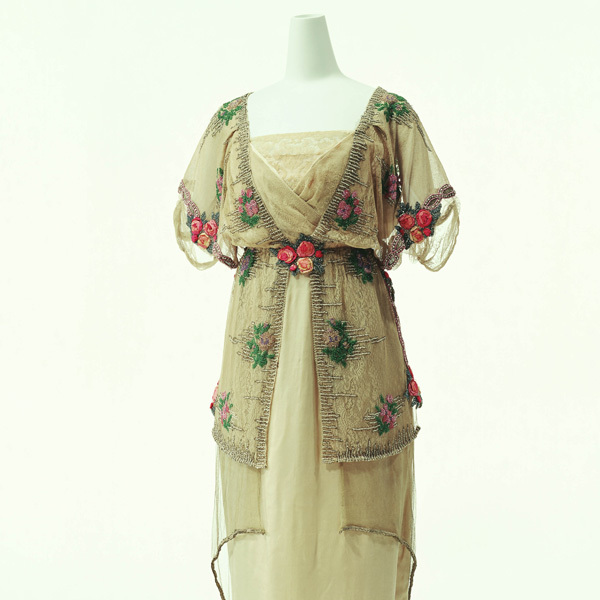 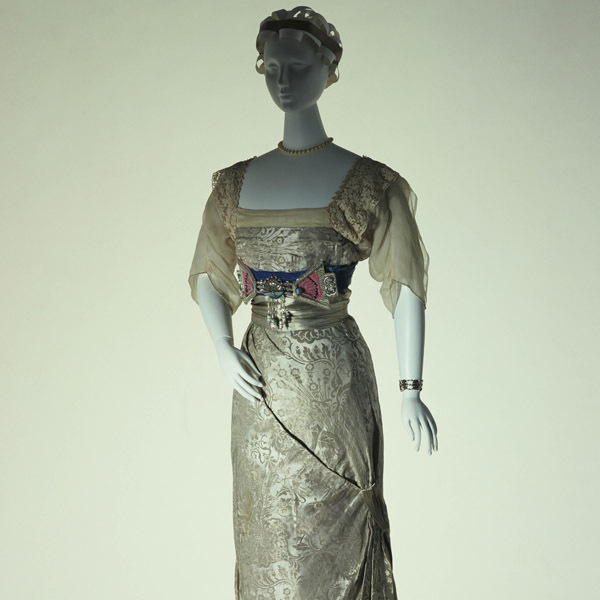 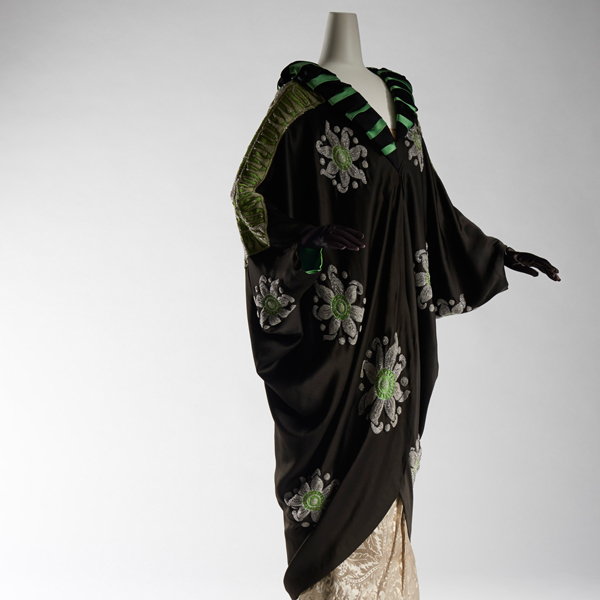 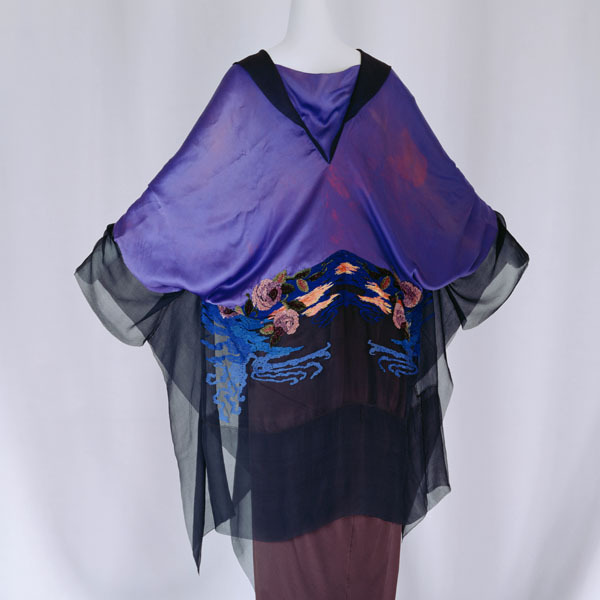 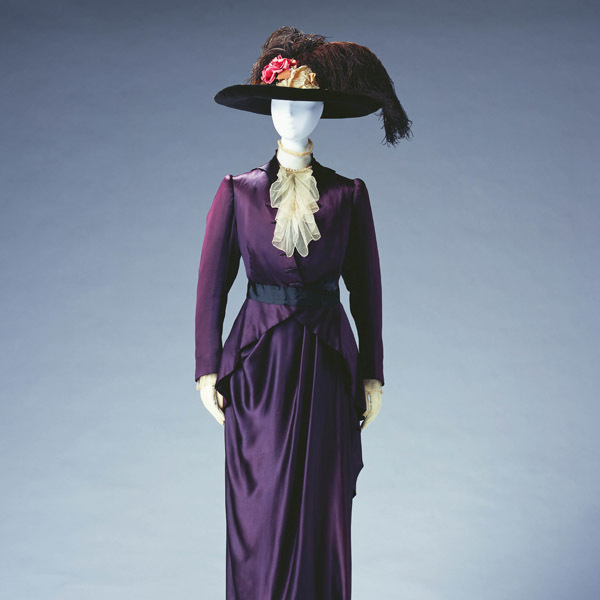 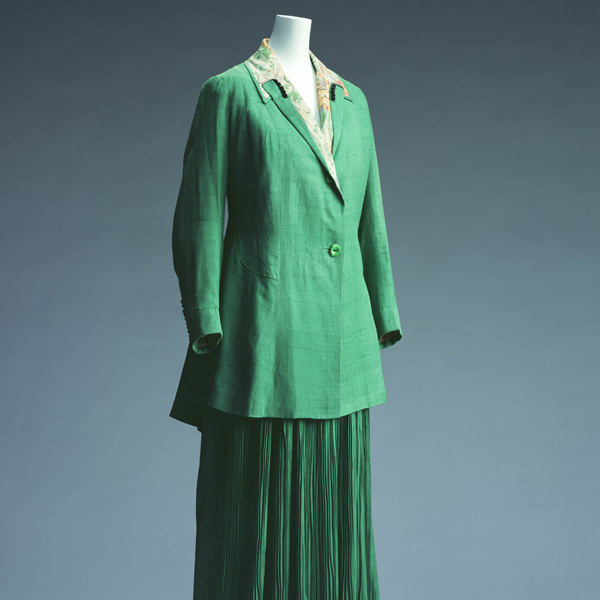 Later, from around 1907, there was a trend for fashion inspired by Japanese style, including details such as the kimono's loose-fitting style, overlapping, and kimono-type sleeves. 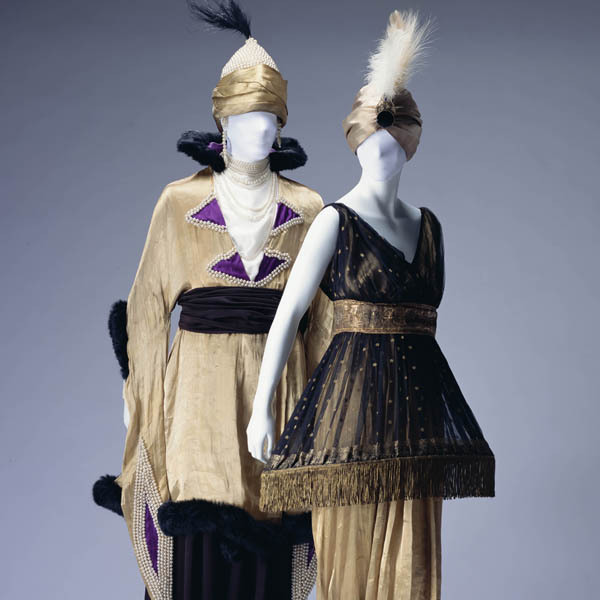 Like other fashion houses, Worth followed that fashion trend.